This fall, the Orthodox Forum is celebrating its 20th publication by revisiting a past topic through new and broader lenses. This most recent volume, entitled “The Relationship of Orthodox Jews with Believing Jews of Other Religious Ideologies and Non-Believing Jews” is edited by Rabbi Adam Mintz and takes a fresh look at a theme discussed at the Forum’s conference on “Jewish Tradition and the Non-Traditional Jew,” published in 1992. The Orthodox community, in North America and in Israel, is no longer in denial about observant adolescents who are at-risk. In the past there was an unspoken belief that being open about such issues would reflect badly on the community. However, in recent years, there has been an increase in the number of young people who exhibit antisocial behavior—a problem that Jewish professionals are now confronting head on. The Orthodox Caucus, a leadership group whose mission is to address challenges facing the Orthodox community and the Jewish community at large, will relocate to Yeshiva University’s Wilf Campus and be hosted by the Center for the Jewish Future (CJF) of Yeshiva University (YU). 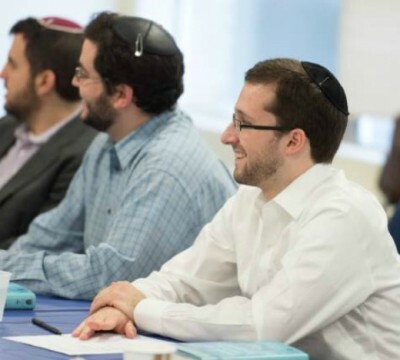 Tzelem, a nonprofit organization addressing issues of sexuality in the Orthodox community, is the inaugural undertaking of the Incubator Project, created by Yeshiva University’s (YU) 2004-2005 Presidential Fellows.